This is the Non dimmable version. If you use dimmer switch to control it, it will flicker. If the light failed to work, you can first exchange the driver with other working one to trouble shoot the problem! *Supermarket, department store or even more ! **Warm Tips**: Buy In Confidence and satisfaction. 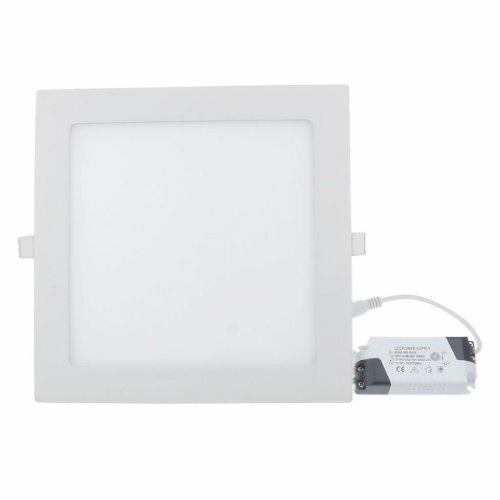 Lemonbest High Quality Standard LED panel light was designed to replace traditional recessed lighting fixture directly. With 100,000 hours lifespan, it saves your effort to replace bulbs on high ceiling. 2 years warranty. 60 days money back guarantee.